Go to Autoresponder. Check the options "Enable automatic responses" And "Permit passthrough for unmatched requests". In the textfield beside the save button, select Find A File and browser to the mission2.swf that you have just downloaded from pwnthis.net..
Now just clear your browser cache.. Enter Ninja Saga and finish the mission "Hardworking Student". 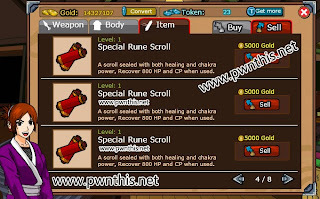 You will get the special rune scroll upon each completion. 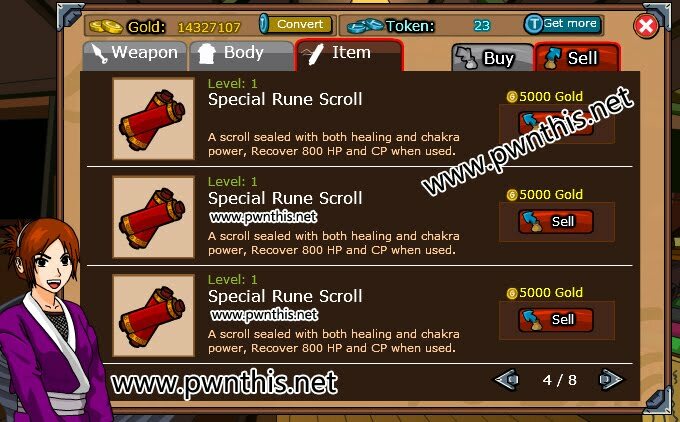 Each cost 5000 in the shops, so you can also sell them if you need gold.